I provided a formal written statement, which can be viewed at this link: Kevin Freeman written statement. Gordon Chang also provided written testimony and it is important reading: Gordon Chang written statement. There wasn’t a lot of press coverage other than Chinese language outlets such as The Epoch Times and New Tang Dynasty Television (NTD). The bottom line is that China is rapidly deploying investments around the world for geostrategic reasons. Chinese money cannot be viewed as pure investment. There are always strings. In fact, over the past couple of days, we have seen press reports that demonstrate this fact. Chinese loans worth hundreds of billions of dollars are saddling Australia’s smaller regional neighbours with unsustainable debts and giving Beijing crucial economic leverage to gain strategic and military power, warns a new independent report written for the US State Department. The US report identifies 16 states vulnerable to China’s so-called “debtbook diplomacy” and economic coercion, including Vanuatu, the Philippines, Cambodia, Laos, Thailand, Malaysia, Sri Lanka, Tonga and Micronesia. The EU is on alert for Chinese attempts to drive a wedge through the bloc as more states on the periphery line up to join the European fold, diplomatic observers and sources said. Diplomatic observers said the European Union was wary of China’s growing investment in the Balkans, central and eastern European countries and poorer EU members – which Beijing sees as gateways into the more developed European market – as it threatened unity and solidarity. America’s wide lead in venture capital is fading, threatened by Asia and its rising brain center: China. A surge of new money from China and the rest of Asia helped drive funding totals to the stratosphere and transformed the venture landscape. Last year Asia directed 40 percent of the global total versus 44 percent from the United States. The point is this: What we see as a marketplace, our enemies view as a battle space. 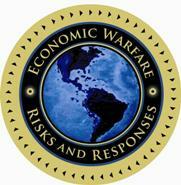 We must wake up to the fact that we are in a global economic war. This is a war that will determine who controls the rest of this century. As I pointed out in my testimony, the next decade will be critical.